Recently, Jaguar launched the new XF. This model supersedes the first generation launched in 2008 and is built off the same iQ[Ai] platform as its smaller sibling, the XE. Above: the Jaguar XF and XE. Can you tell which is which? It's obvious from the first glance that Jaguar is trying to build a uniform design language across its sedan range, in order to create an unmistakeable brand identity. Both models built on the new platform share nearly identical styling elements. These include the ‘J-Blade’ LED and headlight design, ovoid upper front grille and sharply creased bonnet incorporating a central power bulge. Likewise, Jaguar has adopted similar side profiles for both models, employing a low-roof, coupé like side profile and a nearly identical design for the side vent. The rear sees the XF adopt an extension of the tail lamp design on the XE, with an additional curved LED attempting to denote the XF as a larger vehicle. Whilst developing a uniform brand identity, Jaguar is essentially scaling up the same body to different sizes, rather than embodying each model with its own unique character and style. Taking this approach to simply ‘pinching and zooming’ an existing design to create a bigger car is fraught with risks. Importantly, the manufacturer decreases the prestige and value of the more expensive model compared to the cheaper option. If a purchaser sees both cars side by side and struggles to differentiate their aesthetics, then there is little point design-wise in splurging for the more expensive model. This may be harmful from a business perspective, as it could reduce sales of the model ultimately more profitable to the company. Furthermore, replicating an identical style across various models may create an image that the brand is stale, lacking in ideas and unwilling to experiment. As an example, examine Mercedes' new styling approach. From left to right: front and rear three-quarters views of the current Mercedes-Benz C, E, and S-Class respectively. The vehicles are sized from smallest to largest in that order. Mercedes took the approach of introducing the S-Class and then essentially scaling it down in size to create the C and E-Class. The design of the tail across all three models is identical, with the same vertical light clusters bookending a horizontal chrome strip running across the width of the tailgate, with the similarities extending down towards the design of the rear diffuser. The design of the nose also mirrors this principle of downscaling, with identical chrome grilles and bonnet ornaments flanked by similarly shaped headlights, with the inner LED design being the main differentiating feature. The C and E-Class pictured even share identical wheel designs. Perhaps the best analogy to describe the core Mercedes sedan range is an identical coffee in small, medium and large sizes. While the identical styling between the C, E and S-Class may strengthen Mercedes-Benz's brand identity as a whole, it creates little differentiation between the two models for anyone but trainspotters, therefore reducing the ‘prestige’ of owning a more expensive model over its cheaper sibling. This is especially true with the C and E-Class, where a significant part of both model ranges overlap in terms of price. Furthermore, by simply 'pinch-zooming' the same design language for different models, Mercedes makes the assumption that buyers across different market segments have similar demographics and styling preferences. Mercedes is being potentially ignorant of the fact that buyers of the smaller C-Class may, for example, desire a more youthful and sporty design than buyers of the larger and more expensive E and S-Class models. Compare Mercedes' undifferentiated styling approach to that of Mazda. From top to bottom: the Mazda 2, 3 and 6 that together comprise their sedan range. Mazda’s 2, 3 and 6 sedans are clearly delineated from each other despite sharing the company’s “Kodo” design language. The Mazda 2, with its larger, doe-eyed headlamps, curved side character lines and aggressively tapered rear end, presents a cheeky and playful character in line with segment expectations. In contrast, the 6 presents a more refined character in line with its positioning at the top of the range, with the 3 acting, styling-wise, as a middle ground. The 6's personality is emphasised by the elongated five-point grille, with horizontal chrome slats that highlight the width of the car. The headlamps, linked to the grille by chrome bars, accentuate this, featuring sharp, ‘eagle eyed’ LEDs which combine to give an elegant yet subtly aggressive appearance. Hence, rather than taking the Mercedes approach, Mazda developed a core design language, known as “Kodo” and then interpreted it according to the needs of the specific model. Consequently, unlike the S and E-Class, the Mazda 6 and 3 models are not simply scaled up versions of the Mazda 2 sedan. Rather, they project a distinct personality that makes each model stand on its own two feet and reflect the demographics and desires of the segment in which they are positioned. To repeat the coffee analogy, the 2, 3 and 6 sedans are each cups of coffee from the same café, but in different flavours. Put simply, this comparison highlights how it may be unfavourable for a company to compromise model identity in order to strengthen brand identity. When a new model is being developed, care must be taken to balance the intended target market with the current design language and historical brand identity. With models such as the Mark 2, XK SS, E-Type, XJ6 and XJ220, Jaguar's brand identity has been built on this image of performance, class and a level of useability. 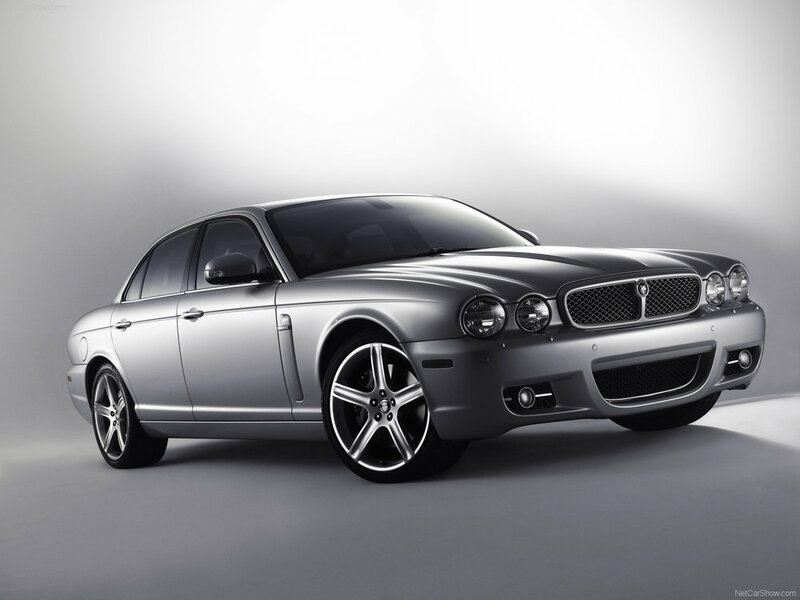 Even when producing comfort-oriented sedans, Jaguar has tended to include a high performance specification in the range. The archetypal Jaguar, the E-Type, combined these qualities to reach the nexus of a GT (Grand Touring) car. 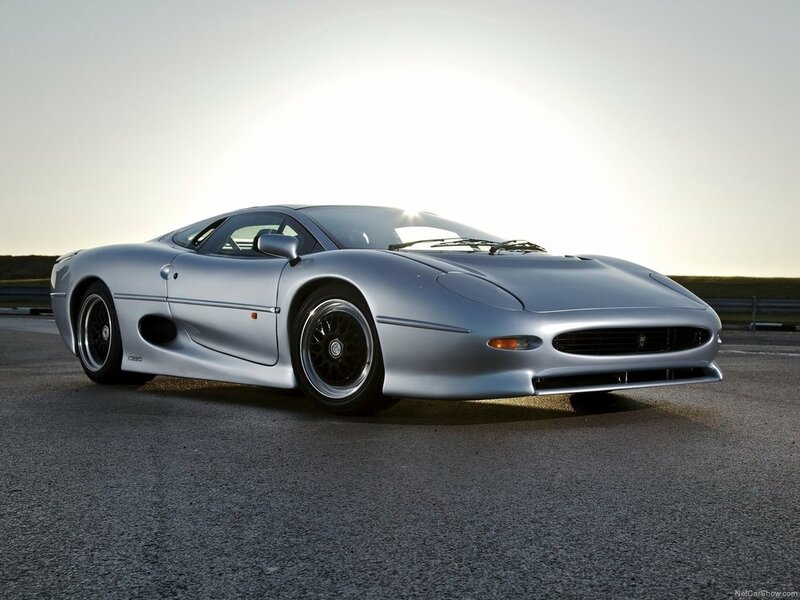 Examples of Jaguar's sports range: the 1957 XK SS and the 1992 XJ220. 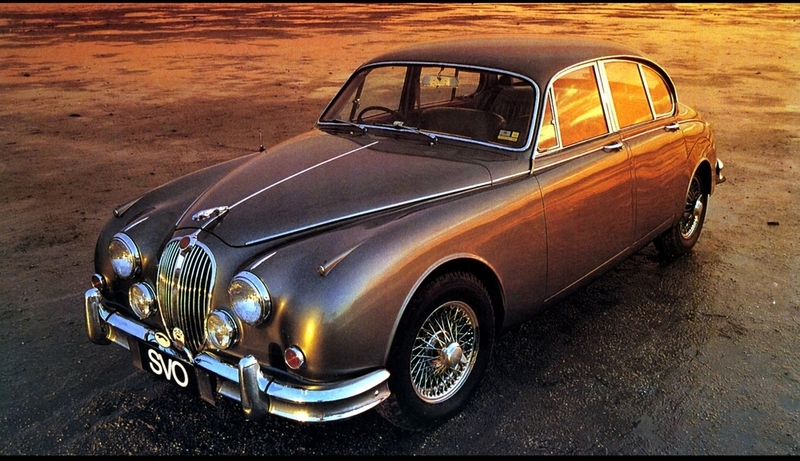 Examples of Jaguar's comfort oriented range: the 1959 Mark 2 (left) and the 1968 XJ6 (right). Despite their shape as executive saloons, both vehicles nevertheless had excellent performance for the time. The 'ideal' Jaguar, the 1971 E-Type represented the heart of the brand's identity. The adoption of Jaguar's contemporary design language coincided with the transfer in ownership of Jaguar Land-Rover from Ford to Tata Motors, and the simultaneous introduction of the original XF. The introduction of the XF in 2008 was a landmark departure for Jaguar, marking the phasing out of its Ford-era, old-fashioned ‘pipe and slippers’ styling approach for one in line with a 21st century re-interpretation of Jaguar’s brand identity. Above: Jaguar's Ford-era design language, as seen in the (from left to right) 2008 XJ, 2005 S-Type and 2004 X-Type. 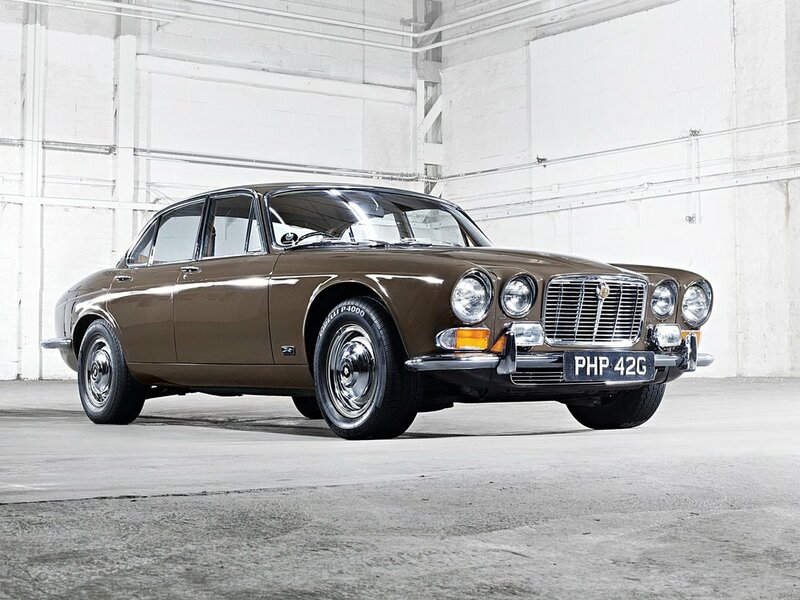 Note the attempt to recreate styling cues from classic Jaguars, such as the quad headlamps on the original XJ6 shown previously. Above: examples of Jaguar's contemporary design language. From left to right: the 2008 XF, the 2015 F-Type Coupe and the 2012 XJ. As evident from the above images, Jaguar’s current design language incorporates common elements such as a sleek silhouette with a low roofline, LEDs forming a clear J-shape and sharply raked rear windscreens. So the main question then becomes, how well does the new XF balance Jaguar’s brand identity with its target market and current design language? Increasingly, an important market for large saloons is the Asia-Pacific region. The rapid growth of the upper class in China and India and their preference for large sedans make the XF an important vehicle for Jaguar. These vehicles tend to be purchased by business executives and magnates who often prefer to be chauffeured rather than undergoing the stress of driving themselves around. Hence, an important consideration for this class of vehicle is rear seat space and comfort. Above: the spacious rear seat accomodation in the Jaguar XF. Indeed, other manufacturers have created models in this class specifically for the Asian market with elongnated wheelbases. Above left and right: The Audi A6L and BMW 5 Series Long Wheelbase. Both models are China exclusive. Impressively, Jaguar has increased rear seat space whilst retaining the sporty, sleek coupé-like silhouette of the original XF. Both characteristics are critically important for the Asian market who tend to prefer rear seat space while also being seen in something different from the typical Germanic norms of the E-Class, 5-Series and A6. Nevertheless, to supplant the already increased rear accommodation, Jaguar, following its German competitors, has also launched an extended wheelbase version of the XF. Top: The extended rear compartment in the XFL, complete with folding tray tables and independent HVAC (Heating, Ventilation, Air-Conditioning) and rear seat entertainment systems. Below from left to right: the standard wheelbase XF and extended wheelbase XFL. Jaguar is to be applauded that this version of the XF maintains the proportions and coupe like silhouette of the normal wheelbase option, with only slight distortions, due to the elongated rear doors and thicker C-pillar. For the target market, the additional rear seat space, folding tray tables and other benefits are highly likely to outweigh the small styling concessions. Thus, with the two-pronged approach of normal and long wheelbase options that cater to slightly different clientele whilst maintaining the overall design of the vehicle, Jaguar has successfully balanced the desires of its target market with brand identity. Despite the excellent overall exterior proportions and design of both variants, there remain certain disadvantageous aspects of the exterior design. A small criticism of the design of the new XF is the use of a plastic filler for the rear window, instead of simply extending the glass towards the edge. Using this filler is an obvious sign of cost cutting and cheapens the look of the new XF. Another criticism comes from the design of the rear LEDs, compared to those of the original XF. Left: The 2012 XF. Right: The current 2016 XF. Simply put, the rear LEDs of the new XF look weak compared to the previous model. The previous XF featured double outline, curved J-Blade LEDs which, in addition to reflecting the sleek, coupe-like shape of the car, gives visual balance with the LEDs at the front of the vehicle. The new XF does not have this same level of visual balance. Rather than reflecting the overall shape of the car or providing visual symmetry with the front, the rear LEDs simply ape the new F-Type, with an additional curved repeater denoting the vehicle as a step-up from the XE. Similarly to Mercedes, this seems to be intentionally done to strengthen brand identity at the expense of the model's own unique character. Overall, Jaguar has done a commendable job with the new XF. Although much of the styling is shared with the smaller XE, reducing the XF's individuality, the company has balanced the needs of the model's target market, in the process successfully reinterpreting the original Jaguar values of pace, grace and space for the 21st century.